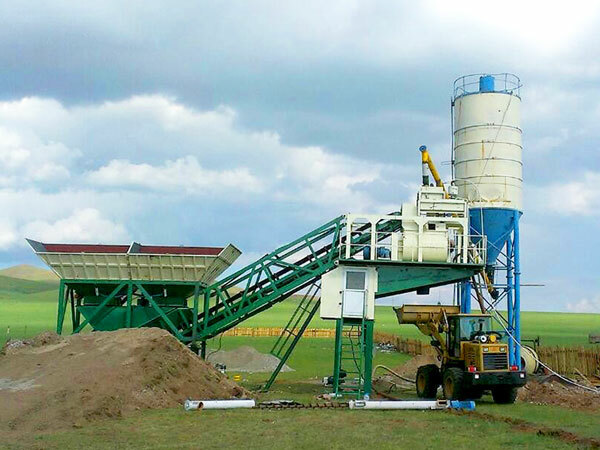 The mobile batching plant for sale is designed for quality construction work with a nonstop working capability. The quality of Aimix Group mobile concrete batching plant for sale is unparalleled and such quality makes any contractor to use them on any construction site. The scope of engineering mobility design aims at developing a mobile concrete plant for sale that has high return with mobile site transition, which differs from stationary concrete plant. These machines have been excellent in terms of profitability. Aimix Group mobile concrete batch plants for sale have greatly reduced labor intensity and decrease manual operation. 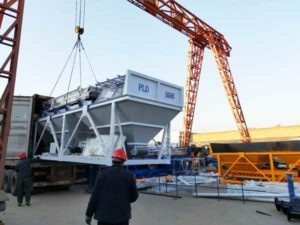 Contractors and investors will be more interested in buying mobile concrete plants for sale because the important function of these machines. In civil engineering, it is a modern way of conveying concrete. 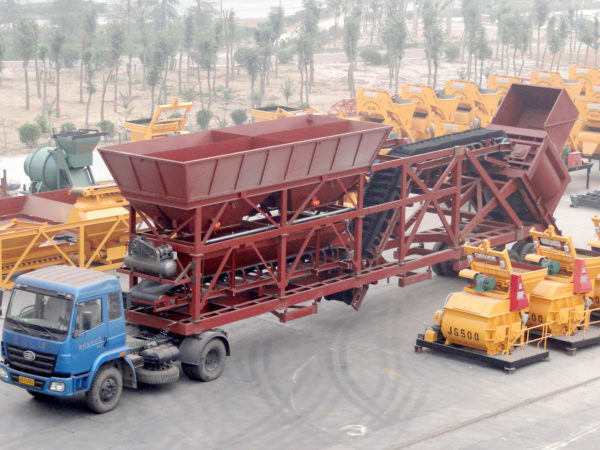 Mobile concrete batching machines are also critical to the production efficiency. 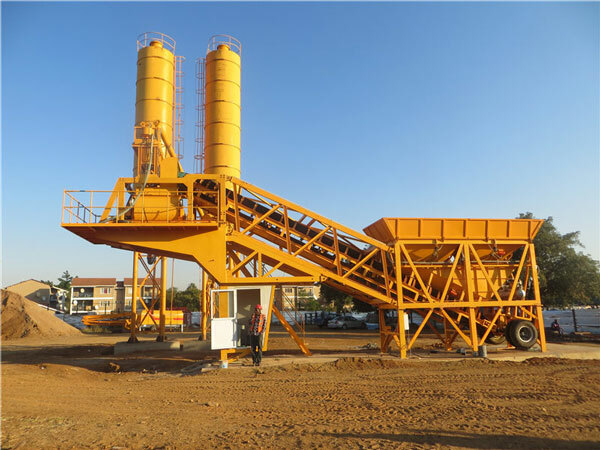 In the construction industry, mobile concrete batching plant for sale is an ideal equipment for perfect work that has high demand in quality and site transition. 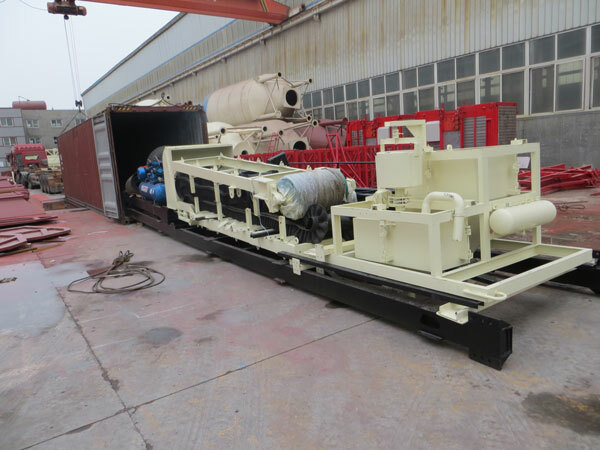 Mobile concrete batching plants for sale can be a good choice for many construction projects, which has high availability, good performance, convenient transition and high working efficiency. Outstanding performance is achieved through accurate feeding, weighing, mixing and discharging of the mixture. 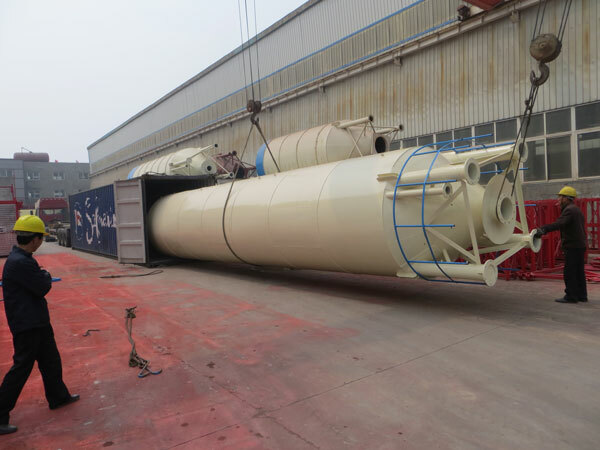 Excellent quality is achieved through adoption of the twin shaft concrete mixer that has a high mixing power and large mixing capability. Also, easy operation of this machine adds value to its performance. 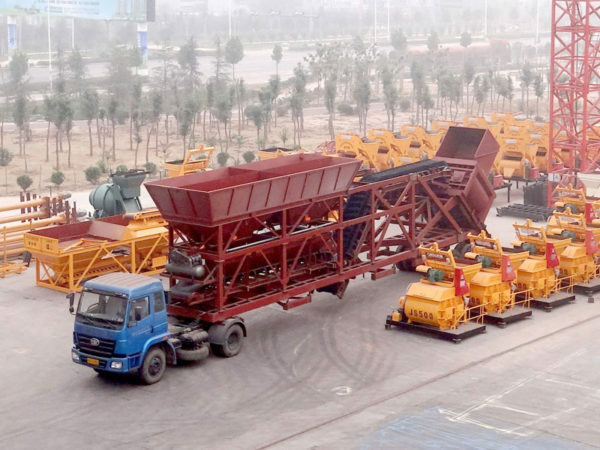 There are many mobile concrete batching plant manufacturers in the market all around the world. 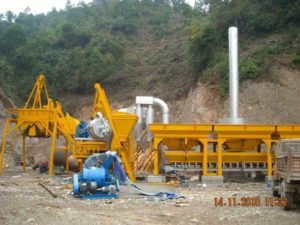 Aimix Group mobile concrete batching plant for sale is designed with advanced electronic technology, which can realize automatic computer control, and it is easy to operate. Besides that, the mobile concrete batching plant price of Aimix Group Machinery is fairly reasonable in contrast with other similar concrete plant manufacturers. Aimix Group mobile concrete batching machine can shorten the construction period of your projects, and it is considered safe for the environment with low emission and working noises. If you want to know about the cost of mobile concrete batching plant for sale, please feel free to contact us. 1. 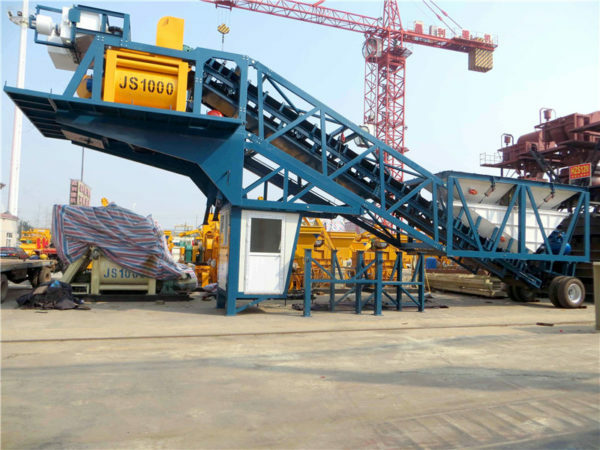 Our mobile concrete batching plant for sale adopts advanced production technology, which has better performance than other types of concrete production equipment. 2. It has high degree of automation, easy operation, convenient site transferring and high operation efficiency. 3. Aimix Group mobile concrete mixing plants adopt efficient twin shaft compulsory concrete mixer, which can ensure the production quality and efficiency. 4. The accurate weighting system can largely avoid the waste of materials and improve the quality of final product.